This weekend we have two new scripts and Bento facial expressions set to 50% as a special release offer. 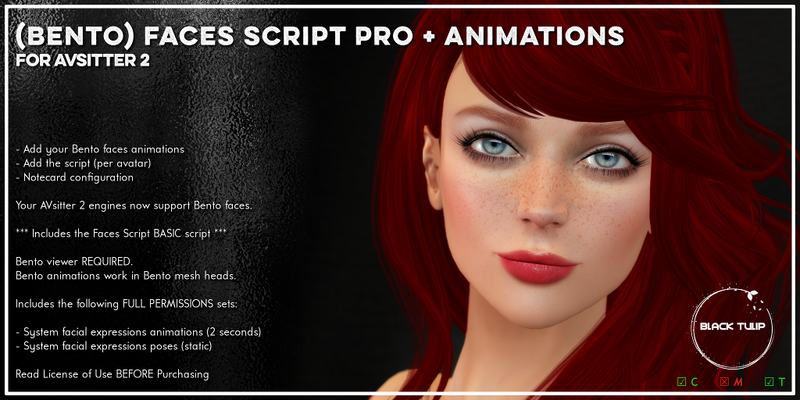 The simplest scripts, and a complete set of system facial expressions for Bento mesh heads, that will give more life to your engines. The script comes in two versions, BASIC (no notecards needed) and PRO (we can tweak details in a notecard). THE PRO VERSION CONTAINS THE BASIC ONE! Bento Facial Expressions - STATIC POSES in Marketplace.